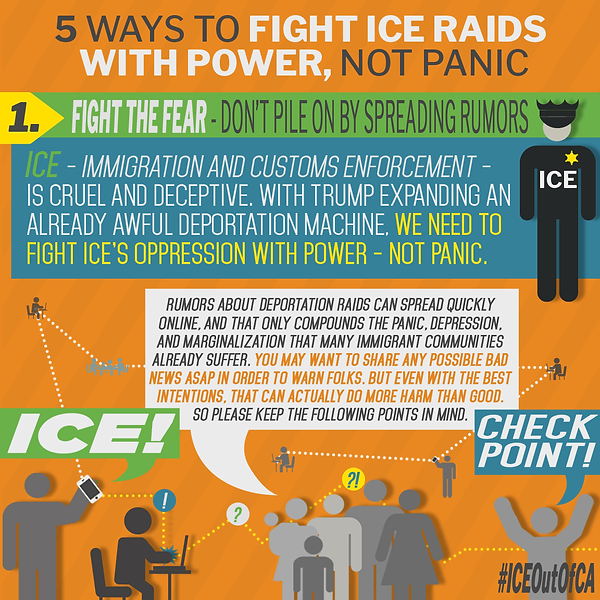 ICE and immigration raids are a constant threat to our community. 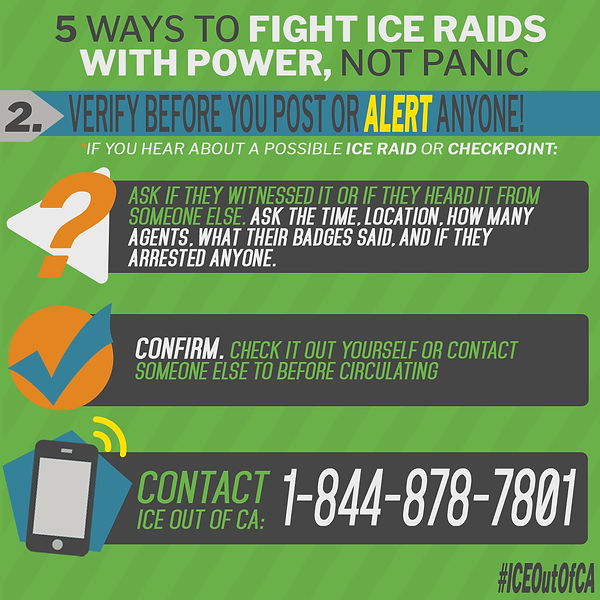 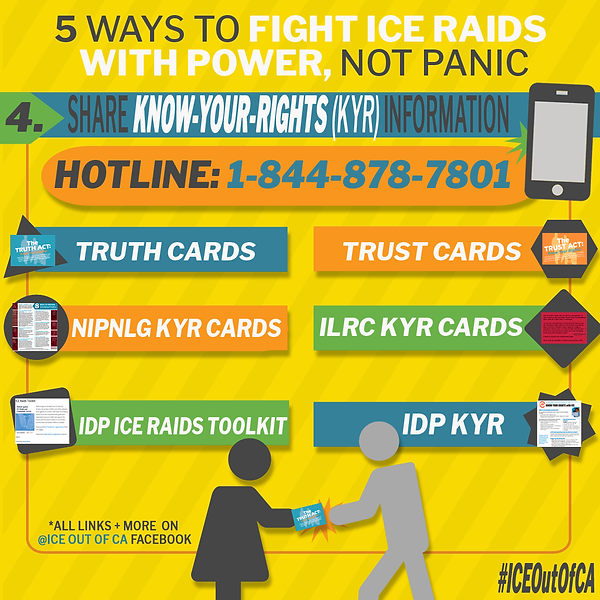 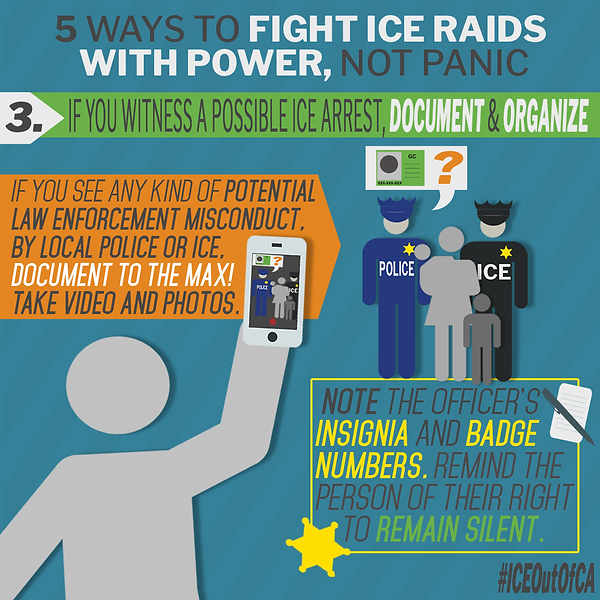 Spreading misinformation about possible raids can bring unnecessary panic and stress to our communities. 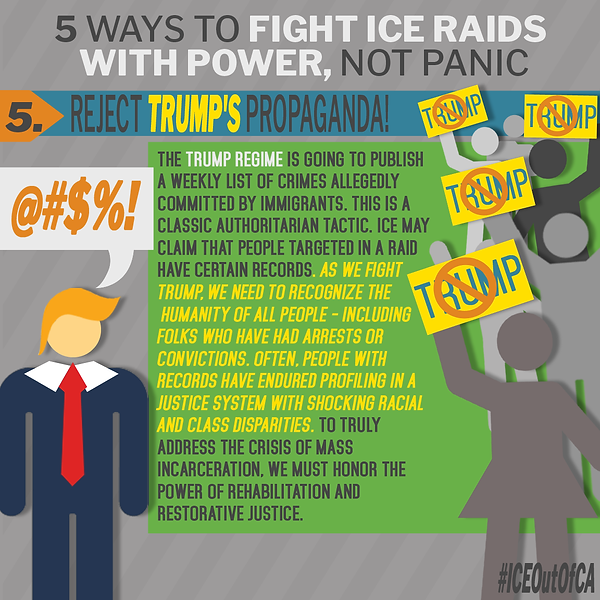 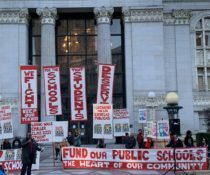 We know that a safe community is an organized community, so how do we fight Trump’s anti-immigrant attacks with power and not panic?